This patient had a complete smile makeover including crown and veneers, along with using implants to replace missing teeth. Notice how we were able to straighten crooked teeth and achieve a very natural lifelike appearance to the crowns. This patient lost many of their teeth due to bone loss and gum disease. We replaced their upper teeth with a permanent fixed bridge on implants in one day. We then restored and treated their lower teeth to restore lost chewing ability and eliminate disease. This patient had a complete make over including crowns and veneers and implants to replace missing lower teeth. We customize each case with our patients to achieve the results they desired. In this case beautiful white teeth that restored lost function from missing teeth. This patient was slowly losing his teeth due to a misalignment of his upper and lower jaws combined with grinding his teeth. Because his teeth did not meet the way they should he was fracturing and losing them. We worked with our orthodontic team to move his teeth into the correct position and then restore his teeth with crowns and bridges to normal shape and function. It was a truly dramatic result. One of the main reasons we do smile makeover is not decay or gum desease, but due to the grinding and wear of teeth. This patient had lost approximately half of the teeth due to wear and fracture. These teeth were restored with crowns and bridges. This patient desired a fuller smile. We used veneers, which are the thickness of a contact lens to reshape and lengthen her teeth, but kept a very natural color. This patient had large fillings replaced with crowns and veneers. One of the many ways we replace teeth is with upper and lower dentures. We custom fit each set to our patients for the most natural look for our patients. Here you can see a patient who had just had a set of dentures made that did not fit there face and lips. You can see the dramatic difference after our new set were finished. This patient had tetracycline stained teeth from antibiotics used in previous years. We used veneers to change the shape and color. This patient had worn their teeth to sharp edges. Porcelain veneers were used to restore normal shape and color. This patient had worn and fractured their teeth over several years. 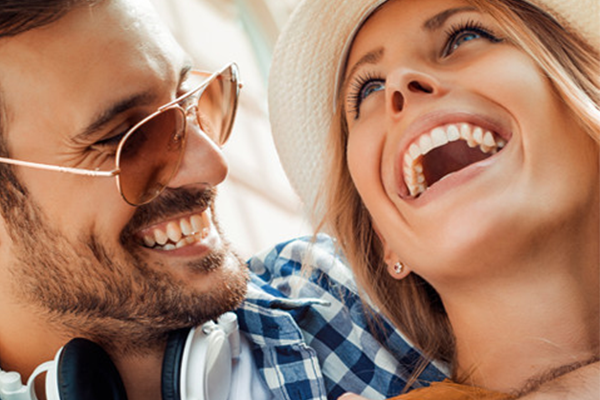 We elected to restore the teeth with composite bondings and overlays to rebuild the missing tooth structure in one visit. The after photo was taken three years after initial treatment to show how well it has withstood time. This patient had their upper teeth treated to change the existing shape and color of the previous fillings. We plan to treat the lower teeth in the future. We can often space treatment out over time to achieve the results we want. This patient had multiple broken teeth and restorations that were restored and rebuilt with crowns and root canals. This patient had failing teeth that were replaced with an upper denture and lower partial denture combined with natural teeth. 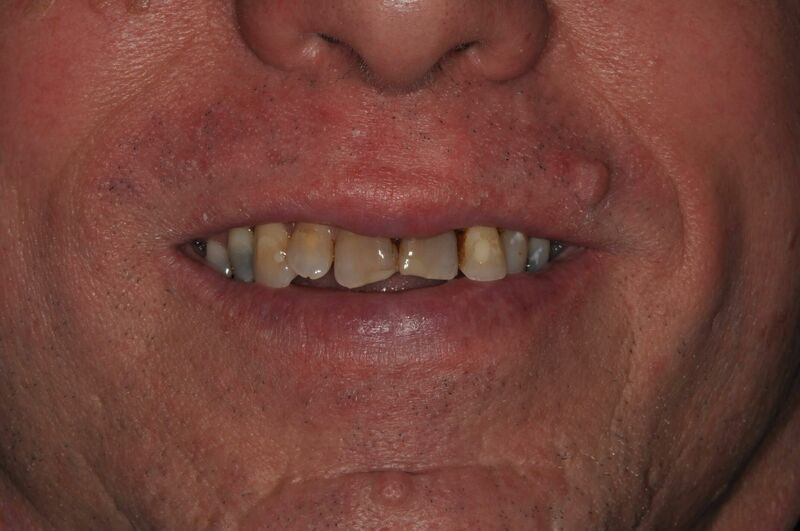 This patient had veneers to correct the discoloration and shape of his teeth.